… Could have been great that is. 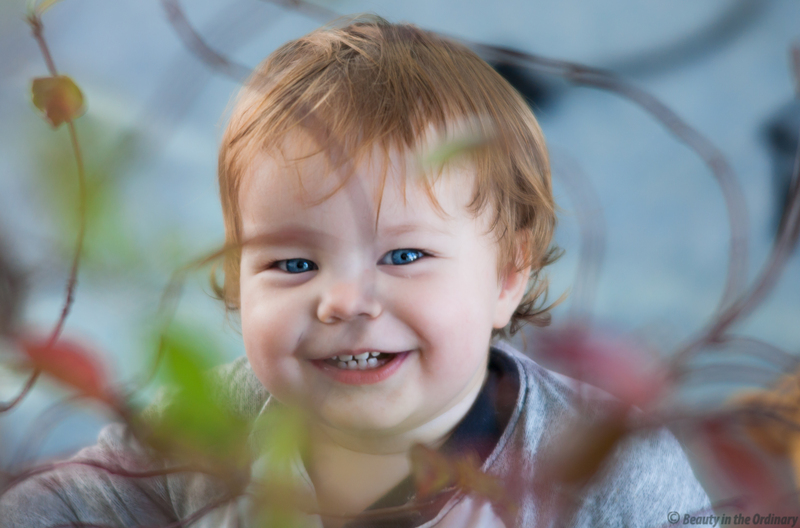 I love the expression on my baby boy’s face on both of these images, yet there is so much that is wrong technically and composition-wise with both of them. Why am I posting them? As I said, I absolutely love the way my baby looks on both, and I think sometimes you sort of have to look past all that other stuff about a technically good photograph. Unless you are entering a photo competition, sometimes that technically poor shot will have captured the essence of a person and therefore be valued for years to come despite all of its flaws. Both of those images were shot “through” a big jasmine bush. 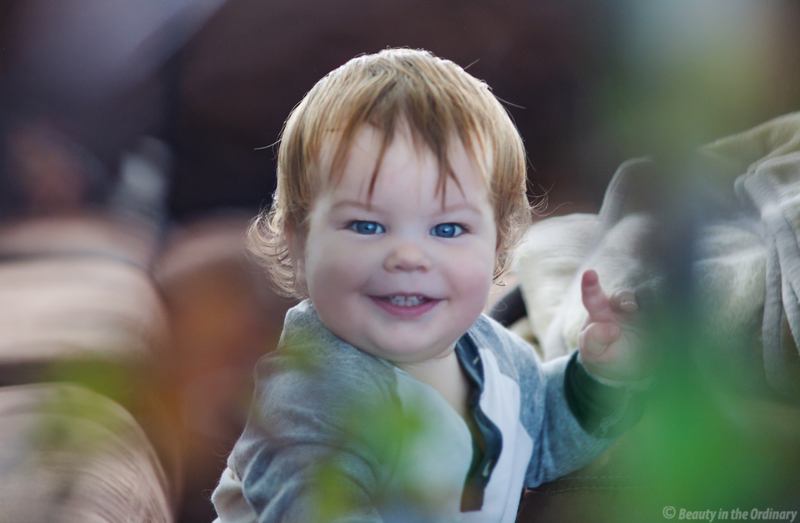 It made for such a beautiful out-of-focus foreground but man was it hard to deal with with a fast moving baby. This first shot is majorly suffering of both motion blur and focus being off. My shutter speed was relatively slow for what I tried to capture and I was focusing manually, which is really difficult when you are dealing with a moving subject. Why manual focus? I think my lens is slightly front-focusing on auto so I was practicing manual focusing with that specific lens. I tried to sharpen his eyes in post, but I think I actually went a bit over-board with it. It’s rather noticeable when you zoom in. So here’s a combination of a poor in-camera work and also less than ideal post-processing work; yet I still love this shot because his face is just so him. This second image is focused correctly and, since he was not really moving much here, the relatively slow shutter speed did not affect the sharpness of the image as much; however, the composition is really bad with the out-of-focus jasmine bush on the foreground leaving odd, almost transparent lines all over his face. But again, the expression is my baby boy in a nutshell.